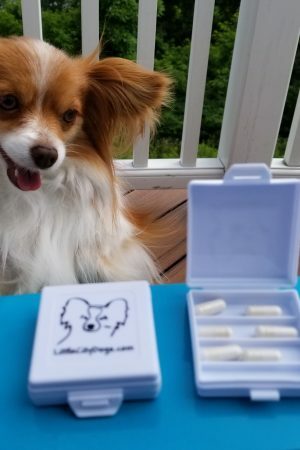 Disease caused by the bite of a mosquito you never saw coming can result in the death of your pet or be averted with a medication infused snack. We don’t generally think about our pets being stung by mosquitoes, but they are and those mosquitoes are like flying hypodermic needles with the ability to inject them with diseases such as heartworms. The good news is that it takes about 6-7 months for an infested mosquito bite to result in heartworms doing harm to your pet. So to be conservative, let’s say you have 6 months to kill them and keep your pet Heartworm Disease free. When a mosquito bites they inject a bit of saliva into the puncture to prevent the blood from clotting while they have their meal. It is through infested mosquito saliva that the heartworm microfilariae… juvenile tapeworms are transmitted to your pet. Once bitten and infested, the heartworm microfilariae begin to grow in your pet’s bloodstream. From that moment, they will begin to mature. Once fully mature, the heartworms leave their juvenile life traveling through your pet in their bloodstream and take up residence congesting your pet’s heart and lungs and grow. The average infested pet will have some 15 worms, each growing to 1 foot in length, while others can have as many as 250 worms in their heart and lungs. This maturation takes about six months and the worms each have a lifetime of 2 years. So… Let’s start the clock. From the moment an infested mosquito bites, the clock starts counting down. You have up to 6-7 months to treat your pet with heartworm wormer and kill them before they grow into a life threatening basket weave of worms in your pet’s heart and lungs. Treating for heartworms, every one to three months is best but treating six months later is NOT too late and treatment even then will keep your pet from getting Heartworm Disease. There is no reason for your pet to die from heartworm disease when it is so easy to dose your pet and prevent it. Heartgard and Tri-Heart are ivermectin formulated as a meaty snack. 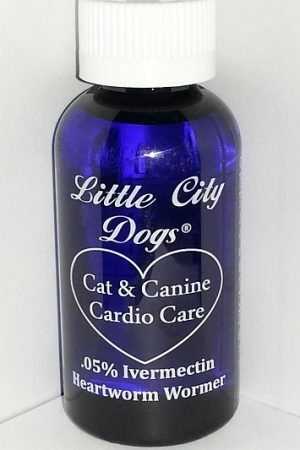 Our Cat & Canine Cardio Care (CCCC) is ivermectin just like Heartgard and Tri-Heart, but is ivermectin in a syrupy liquid. Whichever ivermectin product you choose, if it has been 6 months or less since that mosquito bite, a full cure is a snack away. 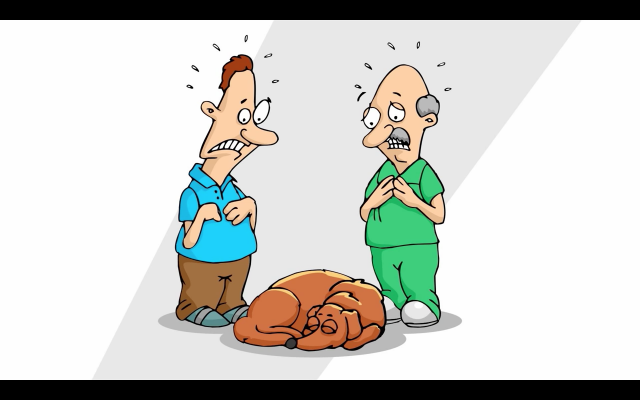 If you like your heartworm information seasoned with a heavy dose of humor, please watch this video for which we humbly thank Else-Vet and Dr. Éva Fok PhD, veterinary clinician, parasitologist, and tutor at the Faculty of Veterinary Science Szent István University. PUPPIES and KITTENS and heartworms oh my! Let’s say you just got a puppy or kitten and it’s under six months old. Well… good news. Your puppy cannot possibly have a full blown heartworm infestation. Even if they were bitten on the day they were born, the infestation will be less than 6 months of age. If you have not done so yet. 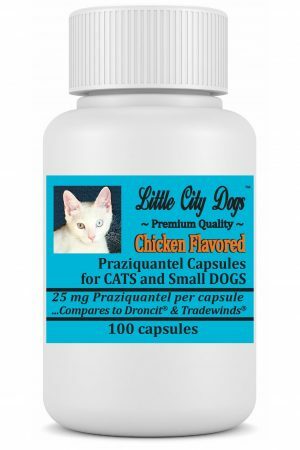 Give that pup or kitten some heartworm wormer. There is no need for you to have your half year puppy or kitten tested first… they don’t need it if they are less than 6 months of age. The test is for heartworm disease and at under 6 months of age, they are simply too young to have Heartworm Disease. 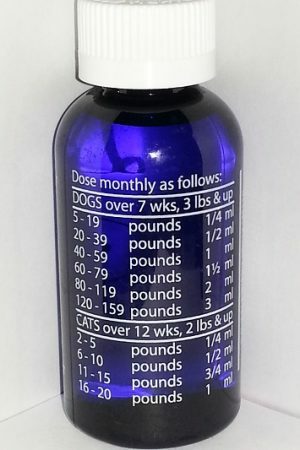 If you have a dog or cat over 6 months of age and you have started heartworm wormer and treated your pet every 1-6 months then they should be fine too. You can keep on treating your pet with its current heartworm wormer or switch to another treatment such as our CCCC (Cat & Canine Cardio Care). IT MAY DIE FROM HEARTWORMS. It’s a bad and life threatening disease. 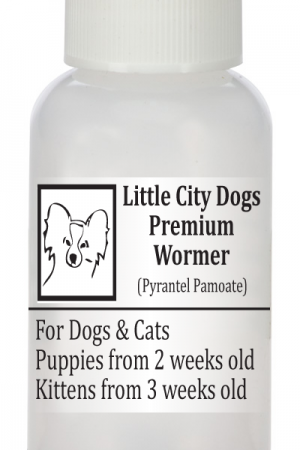 So our CCCC heartworm wormer is arguably the most important product we sell. Don’t let anyone tell you there is a difference…all Heartworm wormers work by killing heartworms. There is no such thing as a heartworm ‘preventive’. 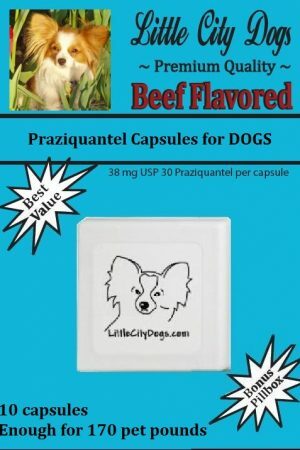 The function of the products that label themselves as preventives is for you to use them regularly in order to kill the heartworms as microfilariae… young heartworms. These products generally recommend generally recommend monthly use. They call this prevention not because they prevent your pet from getting ANY heartworms. The description “prevention’ simply means that it prevents Heartworm Disease, the maturation of microfilariae… young heartworms. A heartworm “preventive” correctly used by killing the heartworms microfilariae in your pet stops them from maturing and migrating from the bloodstream to your pet’s heart and lungs. Since heartworm products cannot prevent your pets from acquiring heartworms BEFORE they are stung, they are actually not a ‘preventive’, they are a ‘heartworm killer’. In fact all heartworm ‘treatments’ are actually heartworm killers and they all kill heartworms at some stage of development AFTER the fact of infestation… the bite of an infested mosquito. When most people use the phrase heartworm treatment they are referring to the treatment for pets with mature heartworm infestation… treatment for heartworms that have matured beyond the microfilariae stage in which they live in the bloodstream and have been allowed to mature to the stage of heartworms in which they grow to a foot long and migrate to reside in the heart and lungs. While no pet owner or vet in their right mind would trust Heartgard to resolve this matter of life and death, Little City Dogs CCCC on the other hand has been used SUCCESSFULLY to kill mature heartworms as part of what is called the “Slow Kill” method. While ivermectin is generally used for ‘prevention’ (treatment by timely killing) of heartworm, it can also be used to slowly kill the heartworms in pets with full blown heartworm disease… killing them at a pace slow enough to allow the body to gradually dispose of the dead worms at a pace that allows the body to eliminate the dead worms without blocking blood vessels or becoming poisoned by bacteria. If your pet has Heartworm Disease and you can afford the method the vet generally recommends, by all means shell out the big bucks and take your chances with that method. Treatment for heartworm disease with the vet’s generally recommended line of treatment can cost $800 to $3000. The sad fact is that many people just don’t have $800 to $3,000. So their alternative is to do nothing and wait for their pet to die. We’re just trying to give you, your vet and your pet a real alternative. With our product and your vet’s supervision, your pet should have as good a chance of survival as with the $800 – $3,000 medication. Our experience has been that you may be able to achieve full removal of the worms with our ivermectin for the cost of a bottle or two depending on the size of your pet. Keep in mind that with either treatment, you are essentially trying to get your pet reprieved from a death sentence. …again if you embark on this treatment, we strongly encourage you to do this treatment under the supervision of a veterinarian. If your pet has Heartworm Disease, DO NOT simply buy our product to use our product to kill them without the guidance of a vet. Please write us and let us know your pet’s condition so we can share more information with you about the “Slow Kill” process. There is more to this than just giving your pet our wormer… and we encourage you to do this treatment under the supervision of a veterinarian. Dying heartworms release bacteria and produce toxins. Heartworms killed too quickly can result in fatally blocked blood vessels in the heart and lungs and death. The good news is that 98% of pets that are treated for Heartworm Disease will clear the infestation and not need further treatment. The bad news is that if your pet has heartworm disease and is not treated, their future is much more bleak. Your dog’s name, breed and weight and whether they have been taking heartworm wormer or they have been diagnosed with heartworm infestation. We ask you about your pet to screen for dogs with the MDR1 gene defect. 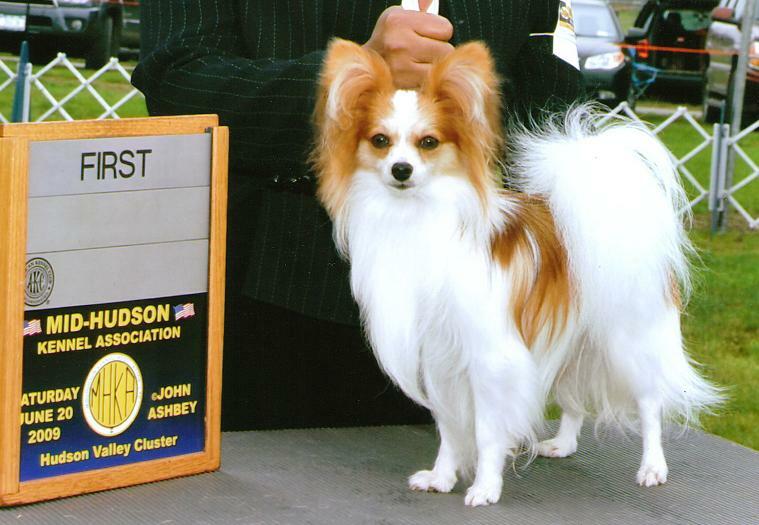 Some Herding Group breed dogs have a mutated gene called the MDR1 gene that makes them unable to excrete certain medications with the same efficiency as other dog breeds. One of these medications they do not process well is ivermectin. Our ivermectin is a liquid. It can be squirted between your pet’s cheek and gum or put in their food (as long as they eat it all). As a liquid, it can be taken by pets of any size. Large pets take more… small pets take less. How much will your pet need? 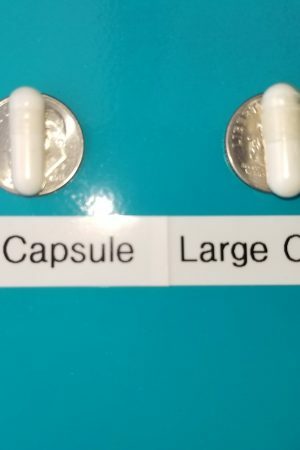 The dosage on the bottle is calibrated like the Heartgard dosage, but if you want to save money or just use the smallest effective dosage you can use our one of a kind dosage app. If the world was a perfect place, we would all have bags of money at our disposal. We would all use national brand pet products and take our pet to vet whenever they need to go. Unfortunately the world is not a perfect place. 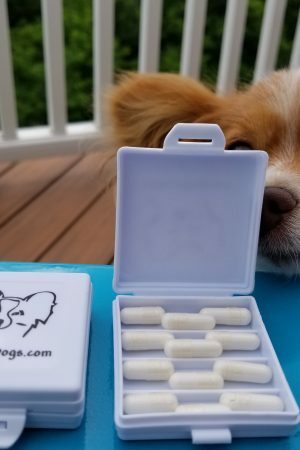 Our products are used by thrifty people, multi-pet owners who find it hard to pay for vet service whenever recommended and rescue organizations who by necessity need to be smart about spending any donations they receive… if they are lucky to get any donations at all. 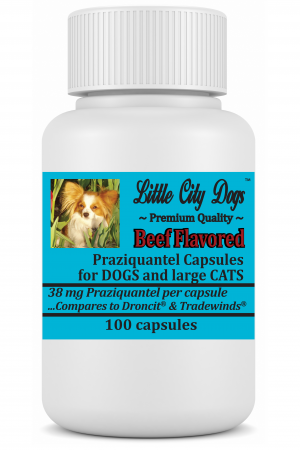 The product we are sell is always fresh and effective and can treat more pets by weight and provide more months of treatment than any heartworm wormer on the market, but most importantly… IT WORKS! I have a rescue border collie that is 5.5 years old. I took her to the vet once and it was a disaster. Three people could not hold on to her. She defecated and urinated everywhere, and for six months afterwards she wouldn’t let anyone even pet her without growling at them. I don’t want to take her back. I live in SC and I suspect she does have heart worms because I have heard her do the cough. I gave her a course of PetAlive parasite Dr and that seemed to work well. But what I’d like to do is get her on a regular treatment program. Can you help me with that? 1. The first thing you need to do is test your pet. You can’t know if she has heartworms without testing and if you treat her, you will never know for sure if she recovered from them. 2. We urge you to work with your vet. Some herding group breed dogs such as Border Collies have an MDR1 gene defect which can lead to severe side effects when they are treated with Ivermectin. Your vet can test your pet and know for sure. After your Border Collie is cleared for treatment, if your vet is clever, he or she will find a way to deal with your pet’s fears. 3. Use Ivermectin. With all due respect to the other treatment you gave your dog, ivermectin is the gold standard treatment for heartworms. Period. 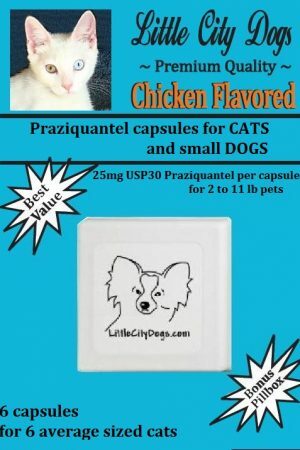 It is on the World Health Organization (WHO) Model List of Essential Medicines (EML) as an important medicine for not just cats and canines, but for humans too. Today, ivermectin is being used to treat BILLIONS of livestock and pets around the world. They call Penicillin the “wonder drug”, Alexander Fleming invented it. Children learn about it in the 5th Grade. It was the subject of at least two movies and won Alexander Fleming the Nobel prize in 1945. Well, the story of Ivermectin is pretty much the same. While the doctors who discovered it didn’t get a movie deal they were awarded the Nobel Prize for their work in 2015. So WE’RE not saying that Ivermectin is better than PetAlive (Clove bud, Rue herb, Neem and Wormwood leaf)… the Nobel Prize Foundation is. Good health to YOU and YOUR pets!